Hackney Horses In The News. Chambord’s Miss Friday, a 4-year old Hackney horse mare, topped off her first dressage season in fine style at the Northwest Dressage Championships at Devonwood Equestrian Center in Sherwood, OR. “Friday” was purchased by current owner Linda Kaye Hollingsworth-Jones in the fall of 2008 from Larry and Carolyn Sluiter of Chambord Hackney Farm. Linda is a World Champion Pinto Trainer located in Idaho. At the Regional Championship shows Linda and Chambord’s Miss Friday placed 3rd in the USDF Region 6 Open Show with a 71.2% and 7th in the Northwest Dressage Championships Training Level Championships with a 68%. Both tests were Training Level Test 4. With these scores Linda and Friday are qualified for the 2010 Region 6 Dressage Championships. 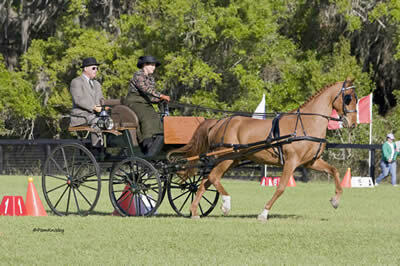 saddle or pleasure type horses, referred to as AMSOPS) Mares, 3rd place English Pleasure AMSOPS, 3rd place English Pleasure Beginning Horse Walk-Trot, 3rd place English Pleasure Green Horse, and Reserve Overall Champion AMSOPS Pleasure Horse. Marcie Quist found her start in the horse world in an unlikely location: at a pony barn in New York City. Through the years, she’s worked her way out of the city to horse lover’s heaven – Southern Pines, North Carolina. 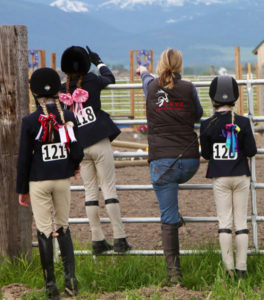 Today, she has her own barn, competes at Advanced level combined driving events, is an American Driving Society (ADS)-licensed judge and Technical Delegate, and if that weren’t enough, works full-time as a lawyer. Her carriage driving breed of choice? The Hackney. “I now own three Hackneys and would never have another kind of driving horse,” said Quist. However, one of her Hackneys tends to be the star of the show: Halstead’s Shale, otherwise known as Hal. “He is the kindest horse I have ever owned,” she said about the gelding, who is registered with the American Hackney Horse Association. Although he’s now almost eight, Quist bought him sight unseen as a four-year-old. She’d heard many things about the Hackney breed, but had no firsthand experience. After watching a video of Hal, she purchased him and had him shipped to Southern Pines from South Dakota. “He arrived after several days on the trailer,” Quist said. “The shipper talked on and on about how good he was, ‘how kind.’” He took in his new surroundings calmly and easily, but Quist figured he was just tired after the long trailer ride. Quist took her time with the young gelding, but he quickly took to driving and she was able to take him to Training level CDEs in his first year under harness. 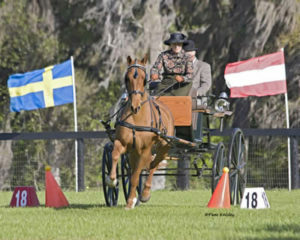 Today, Hal competes at the Intermediate level and will move up to Advanced in the fall of 2010. 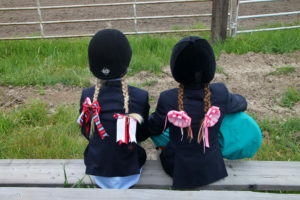 Hal and Quist recently put another success under their lap robe: they were champions of the Intermediate Single Horse division at the Katydid CDE in November 2009. But Hal’s talent doesn’t stop with combined driving. “He’s the kind of horse that loves to learn something new and be challenged,” Quist explained. 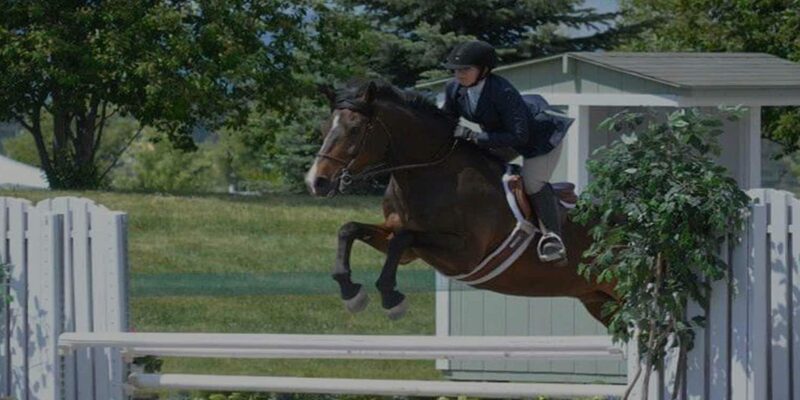 As a result, she takes him to dressage shows, foxhunts and pleasure driving competitions; he took the Single Horse Pleasure Champion at the Carriage Classic in the Pines last summer. 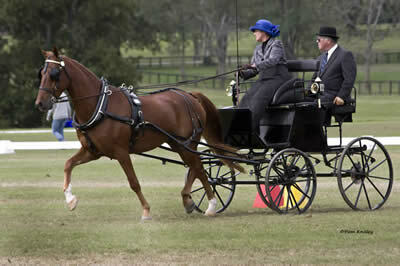 At home, she drives him pair and tandem with a most unlikely partner: a Percheron. “They are quite the odd couple but they work very well together,” Quist said. When Quist isn’t with her horses, she’s likely at her “day” job. As a lawyer, she works for the Department of the Army at Fort Bragg, NC. And if her horses and law work weren’t enough to keep her busy, Quist still finds time to judge and TD. In addition to these insights, Quist said she gained broader life lessons from judging, like laughing instead of worrying when things go wrong. Quist is so active in the ADS because she said she believes it’s an important organization that needs support from members to make it the best it can be. “While I’d like to have some influenced over how the sport grows and changes, I also want to just help do the work to make sure it there for us,” Quist said. The ADS has provided her with opportunities to have fun and succeed with Hal and her other horses, so she is giving back however she can. Quist judges up to 10 shows per year and has two competitions scheduled next spring. “Carriage driving is a great sport with great people – I want to allow others to see that, too,” she said. 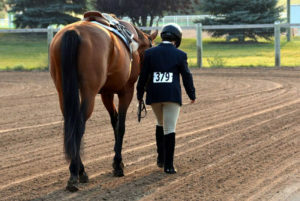 While competitions are a big part of her life, they are not the most important part of her horse involvement. Quist and her husband, Dave, share their home with their horses, their dogs (a pair of Jack Russell Terriers and a pair of Carolina mutts), and a “fat, lazy, red cat.” While they share the animals, Quist is definitely the “horseperson” in her marriage. Through everything she does, Quist tries to keep a balanced outlook on her activities.